BMX bikes welcome Wednesday and Sunday from opening to close. 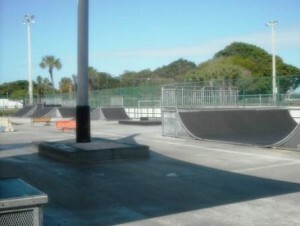 Phipps Skate Park is the best place in West Palm Beach for all skate enthusiasts! Skateboarders, in-lite skaters as well as BMX bikers all are welcome. No matter what level of expertise you have, from beginners to more experienced riders, whether you are able to perform spectacular maneuvers or if you prefer to ride and just try a few flips, Phipps Skate Park can accommodate your needs. With 23,000 square feet, this outdoor skating park has a concrete base with metal ramps and decks made with Skatelite Pro skating surface giving you lots of challenging areas to practice your moves. Remember practice makes perfect, so keep practicing and have fun. Always wear protective equipment. Helmets with a functioning strap are mandatory for all skaters and a waiver must be on file for all skate park users. Waivers must be signed by a skater’s parent or legal guardian or notarized if under 18. Helmets can be rented for $3. 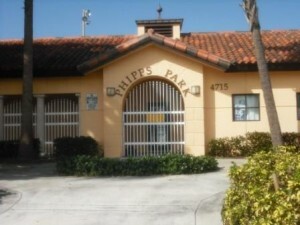 Phipps Skate Park can provide you with private lessons for kids 5 and over. Membership fees are for 6 months. To register for lessons, for membership fees or any other information, please visit their website.